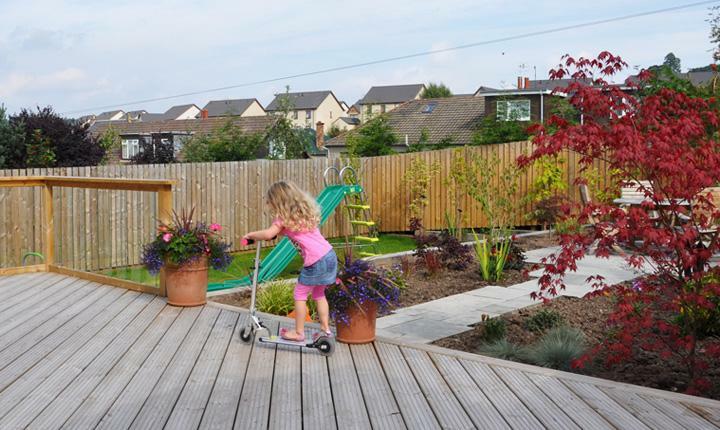 The primary objective for this project was to create a family garden providing a space for all the family to enjoy. 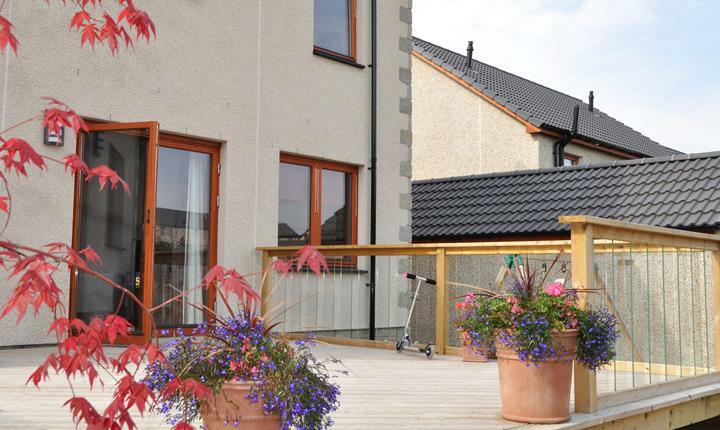 Being a new build the existing garden was simply laid with top soil and the garden was on a slope. The new design was to incorporate 2 level areas, one to include a lawn and bark play area and the other to create a seating area. A deck area was to be constructed outside the French doors leading out on to the garden. A lot of excavation was required and a sleeper wall was constructed to retain the upper level also dividing the garden. A castellated path was laid leading to a patio using sandstone silver birch paving and a mixture of planting was introduced softening the feel along with colour and structure. 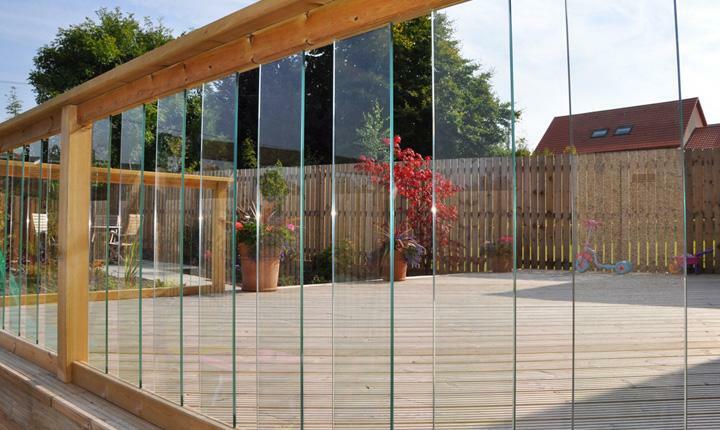 A large softwood deck area was also created leading from the kitchen/family room providing a great place for entertaining and the classic glass panels allow a clear view of the whole garden. 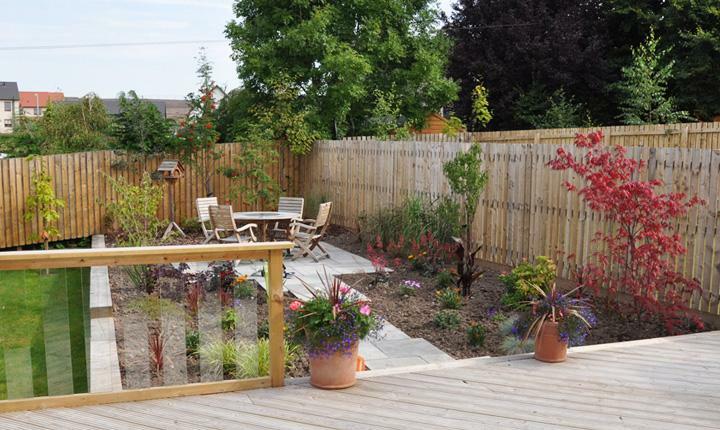 Overall this project really transformed the space into a beautiful family garden with various areas for sitting, relaxing and entertaining family and friends. Featuring a child friendly section of the garden with a bark play area next to the newly laid lawn area, perfect for play and fun. 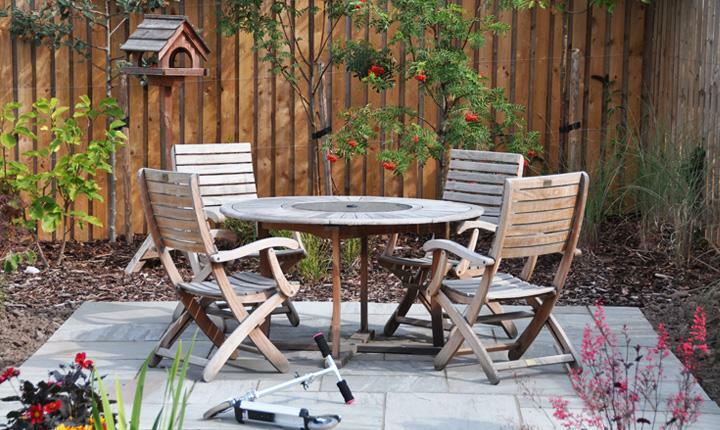 Finally the extensive deck offers a lovely space to entertain whether it be family barbeques or child's play.